The Marjorie Putnam Sinclair Edel Reading Series honors the memory of poet, novelist, biographer, and teacher Marjorie Putnam Sinclair Edel (1913-2005) and her lasting contributions to Hawai‘i’s literary communities. Celebrated authors in this Series read from their works and engage students, faculty, and the community in discussions about their writing—with a focus on poetry, Hawai‘i, and Hawaiian culture, three of Marjorie Edel’s life-long interests. Marjorie Edel arrived in Honolulu on the University of Hawai‘i’s first graduate exchange student program in 1935. She was the author of two novels, Kona (1947), and The Wild Wind (1950), a biography,Nahi‘ena‘ena: Sacred Daughter of Hawai‘i (1976), and numerous poems and short stories reflecting the native Hawaiian experience in the early 20th century. She also collaborated on translations of the poetry of Lily Pao-Hu Chong and edited The Path of the Ocean: Traditional Poetry of Polynesia (1982). In addition to teaching in the UHM English Department, she worked closely with the Hawai‘i Literary Arts Council for over 25 years. 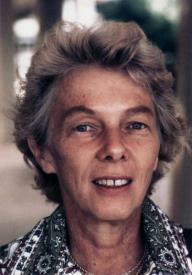 Marjorie Edel received the Hawai‘i Writer’s Award in 1981. Contributions toward the Marjorie Putnam Sinclair Edel Reading Series are very welcome and may be made directly to the University of Hawai‘i Foundation, 808-956-8849 or www.uhf.hawaii.edu. All donations are tax deductible and gifts of any size are welcome. Kaui Hart Hemmings will present the 2015 Edel Reading on February 19, 2015 at 3 PM in KUY 410.